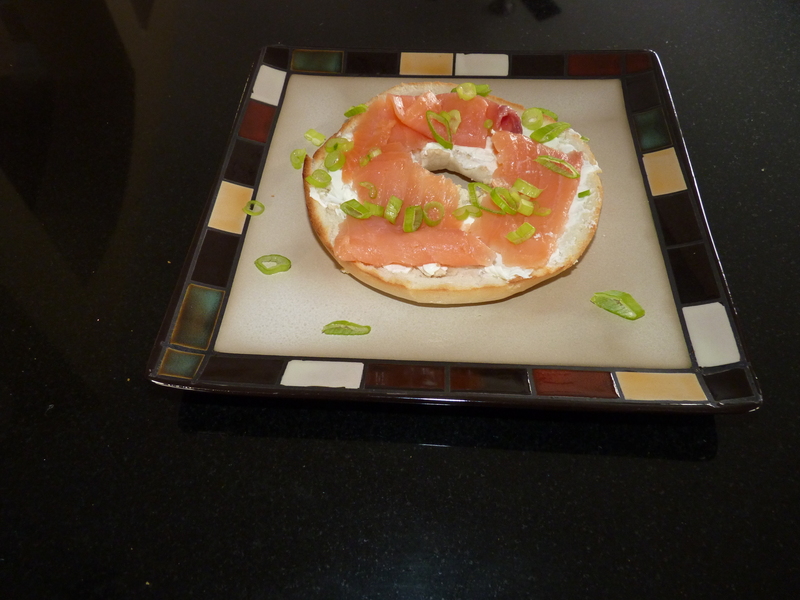 Toast the bagel and add cream cheese, then smoked salmon, then green onion. If you’re really hungry then add an egg to this recipe. Delicious! Smoked salmon tastes great in omelets too. Get your omega’s this morning and eat up! We buy this pack of smoked salmon at Costco, cut it up into small serving sizes and store it in the freezer. 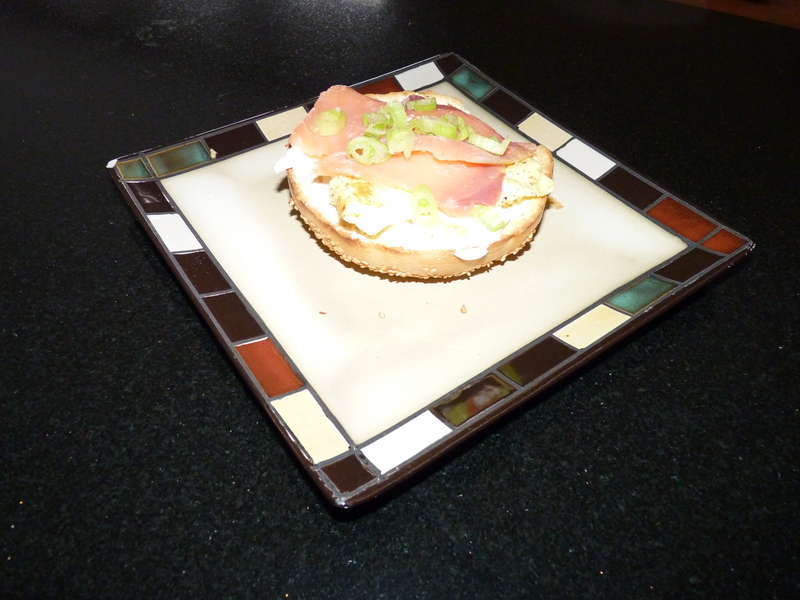 It’s a great thing to have on hand at any given moment because it not oly makes for a great and fast breakfast, it also serves as an appetizer as it tastes delicious on crackers with a bit of cheese and parsley garnish too!